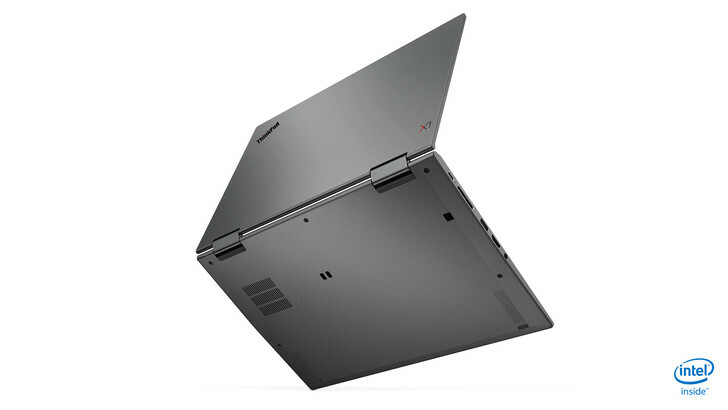 The Lenovo ThinkPad X1 Yoga Gen 4 convertible gets revamped for 2019 with a completely new chassis. 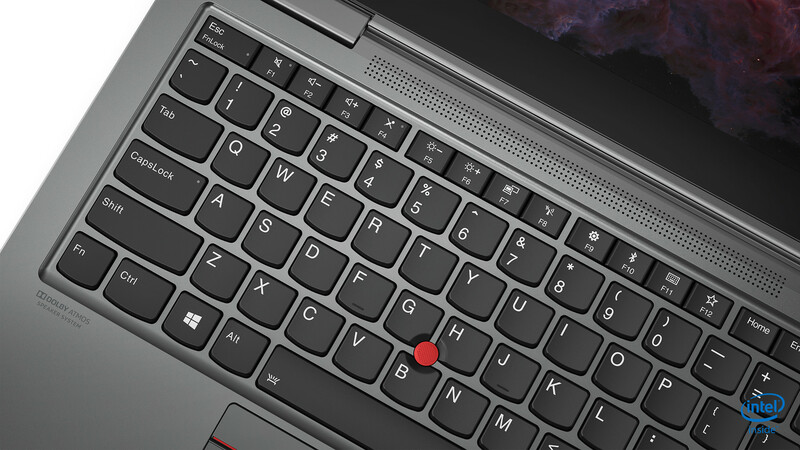 For the first time ever on a ThinkPad X1 laptop, its completely made out of CNC-machined aluminium and not available in black. There have been three versions of the ThinkPad X1 Yoga convertible laptop. All of them were introduced at the CES of their respective years and all of them features the same overall design. 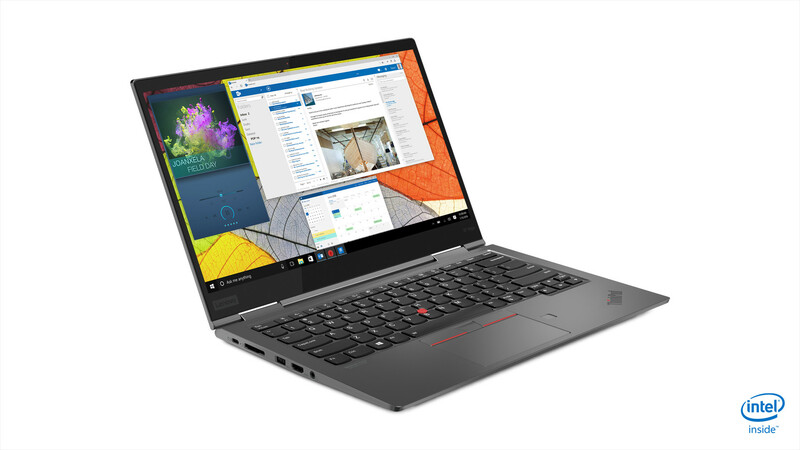 The new Lenovo ThinkPad X1 Yoga 2019 is also introduced at the CES; but unlike the others, it features a drastic redesign compared with its predecessors. 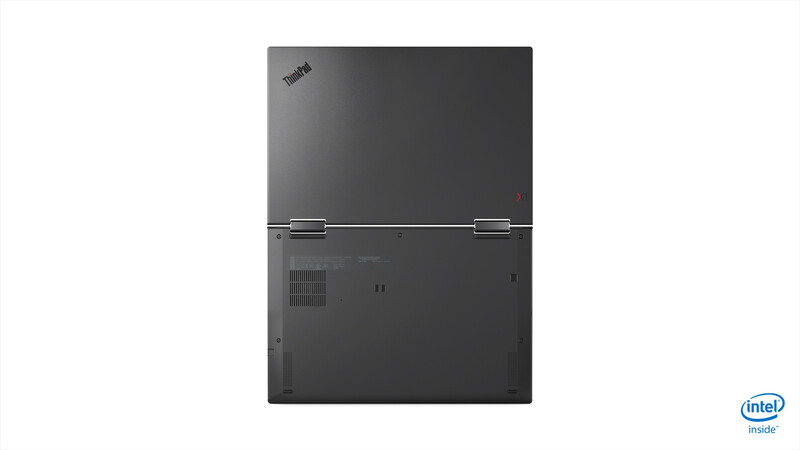 So far, every ThinkPad X1 Yoga featured a chassis made out of Magnesium as well as Carbon-Fiber with a smooth black coating, quite similar to the ThinkPad X1 Carbon 2019. This year, Lenovo decided to change up the formula completely, as the new model ThinkPad X1 Yoga Gen 4 relies on a chassis that is completely made out of CNC-machined, uncoated aluminium. 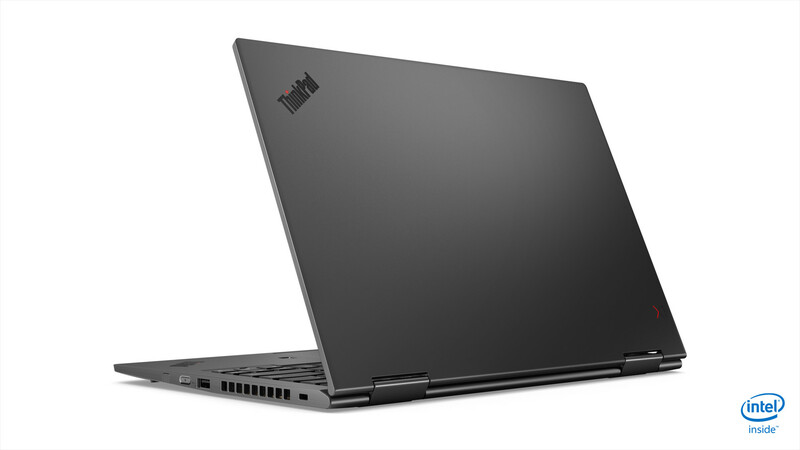 This makes it the first all-metal model in the history of the ThinkPad X1 line and also the first model that is not available in black at all. Instead, it features a dark-grey color tone that Lenovo calls "Iron Grey". The hinge design remains identical to the older models, which means that the screen can still be rotated 360 degrees to transform the X1 Yoga into a tablet. Aside from the change of material, Lenovo also shrinks down the ThinkPad X1 Yoga 2019 quite a bit. Its footprint is reduced by 17 %, as it is not almost as small as the ThinkPad X1 Carbon 2019. Naturally, the smaller chassis also results in smaller screen bezels. The thickness is reduced from 17.05 to 15.2 mm as well, though this does not result in the removal of legacy ports like USB A or full-size HDMI. 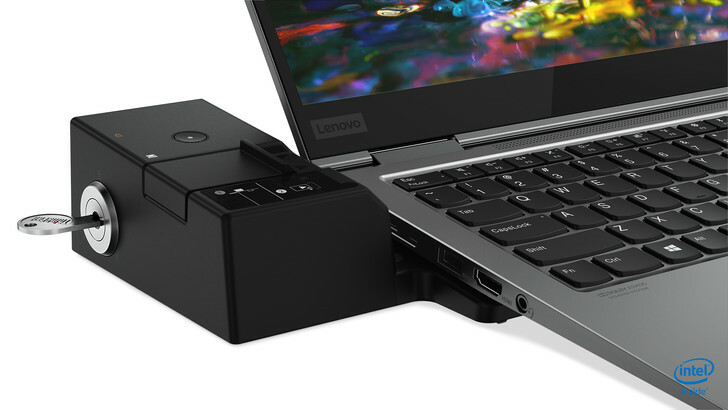 New for this year is also the mechanical ThinkPad docking-port that is featured on many other ThinkPad laptops as well. A change that the new ThinkPad X1 Yoga 2019 shares with its X1 Carbon 2019 counterpart is the redesigned sound-system with two sub-woofers and user-facing Dolby Atmos speakers. The older ThinkPad X1 Yoga 2018 was criticized by us for its audio capabilities, so it seems like Lenovo has listened to the criticism. There also are bottom-firing sub-woofers. 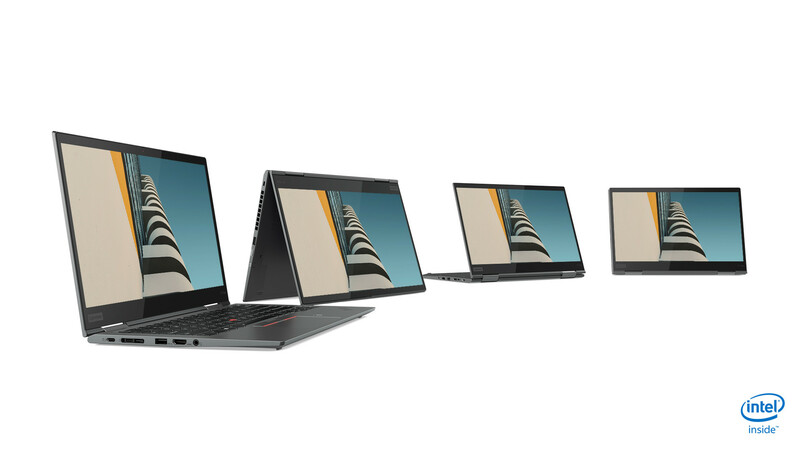 All 14 inch screens used in the ThinkPad X1 Yoga 2019 support touch. As with the X1 Carbon 2019, the high-end panel now has a resolution of 3,840 x 2,160 (4K UHD). This panel has a brightness value of 500 cd/m² and supports HDR, The low-end FHD option now has a higher brightness of 400 cd/m² and supports the ThinkPad ePrivacy feature optionally. Another change that mirrors the X1 Carbon 2019: The battery only has a capacity of 51 Wh now, down from 54 Wh with the predecessor. In terms of memory and storage, the max. amount of both is 16 GB of LPDDR3-RAM and 2 TB of SSD storage. 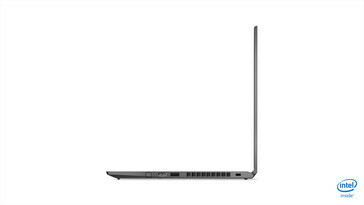 For the processors, the newer Whiskey Lake CPUs seem to be featured in the X1 Yoga, although Lenovo`s spec sheet wasn't specific about that. 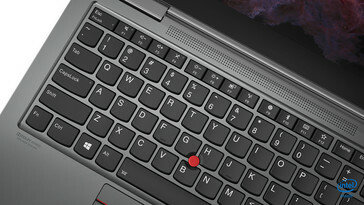 One of the best features of its predecessor though seems to have been sacrificed for a thinner profile: The keyboard deck is no longer flat, which points to a lack of the retracting keyboard that all older X1 Yoga models featured. At least the garage for the Digitizer pen, another special feature of the older models. 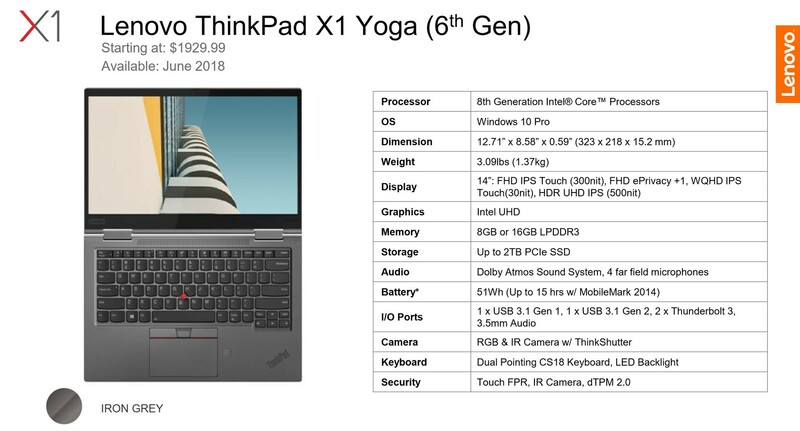 The ThinkPad X1 Yoga 2019 Convertible is slated for a June 2019 release, so potential buyers still have to wait quite some time. The base-price in the US will be $1930.